I get lots of requests from people around the world who wish to have jewellery, cake stands or candles created from their own personal china. Sometimes people get in touch because they have a couple of teacups, saucers or plates left over from a set and they want to do something different and innovative with them, but often it’s because they want to pass on their cherished china to a loved one in a new and creative way. These new pieces make unique and precious keepsakes and the privilege of creating them for my customers is a very special one. Every piece tells a story, and hearing the background to a particular commission is one of my favourite things. One lovely man brought me a teacup from his parents' wedding china to make pieces of jewellery for his three sisters. Another thoughtful lady wanted to give a sentimental (but easily packed!) gift to her daughter before she emigrated to Australia, so she sent me one of her mother's china side plates to make a necklace and matching earrings. Creating new heirlooms from old ones brings me great joy and I just love seeing people's reactions when I give them back their 'new' piece of china! 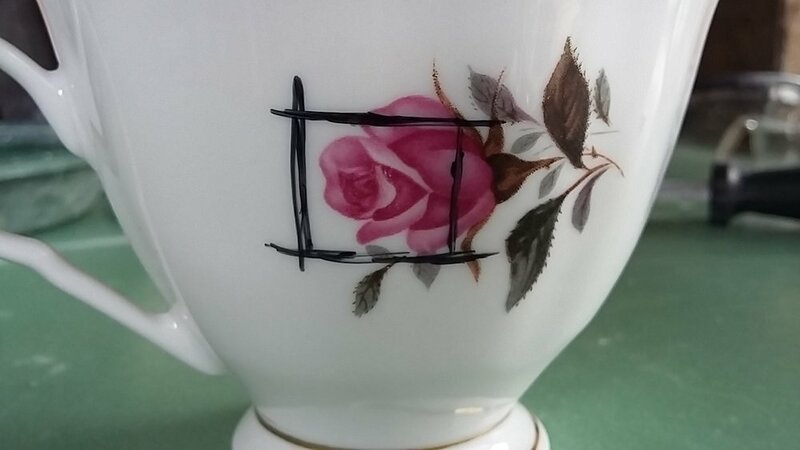 When sending your china or pottery pieces, please include any instructions that you may have with regard to the shape of the jewellery piece(s) that you are ordering. In addition, if there are preferred parts of the china or pottery pattern that you would like me to use, please include these details also. Please allow 3-4 weeks turnaround from receipt of china/pottery to postage out of completed pieces. Commission pieces are the same price as the jewellery pieces for sale on my website; i.e. 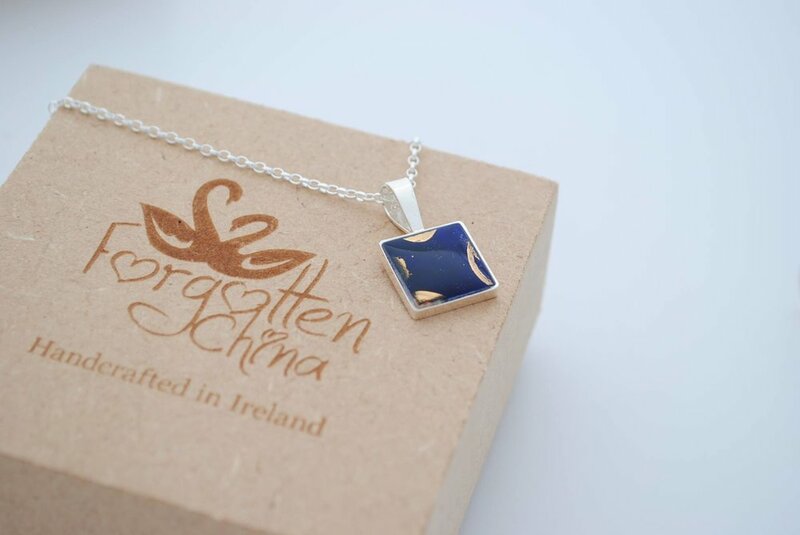 large square sterling silver pendants are €85 etc. 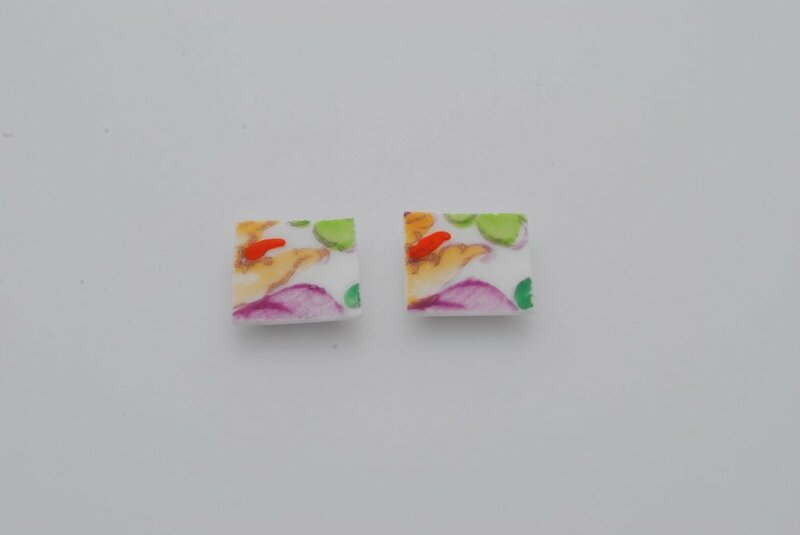 On completion of the pieces, a payment link will be sent to you which will allow you to pay via card. Throughout the process, I keep in contact with every customer with regard to receipt of china/progress of pieces etc. Orders can be placed from anywhere in the world and your completed jewellery pieces are posted back to your preferred address by Registered Post. Any additional queries, please contact forgottenchina@gmail.com or don’t hesitate to call me on 00 353 (0)86 844 0795. This particular commission that I worked on was from a request from a customer looking for her mum's broken teacup to be turned into earrings and a pendant. I loved the way they worked out! 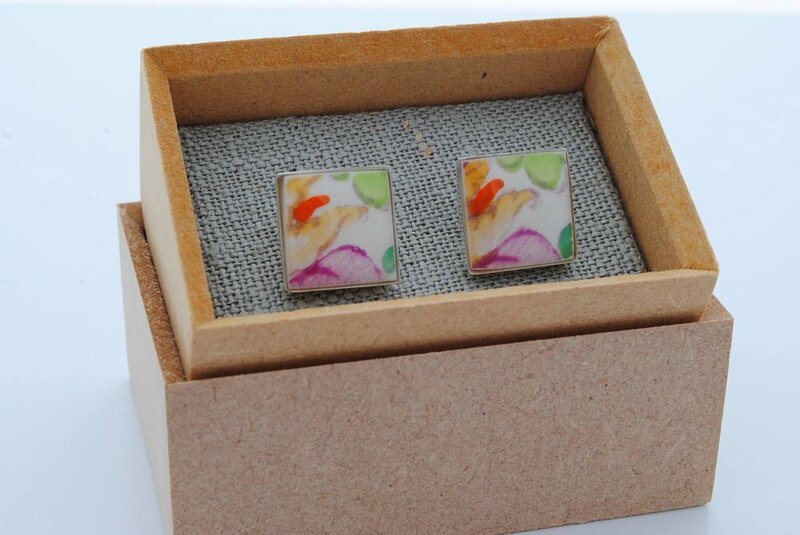 This was the latest commission that I worked on; creating a pair of cufflinks from an old china side plate for a customer's brother's 40th birthday. The plate had belonged to their granny. 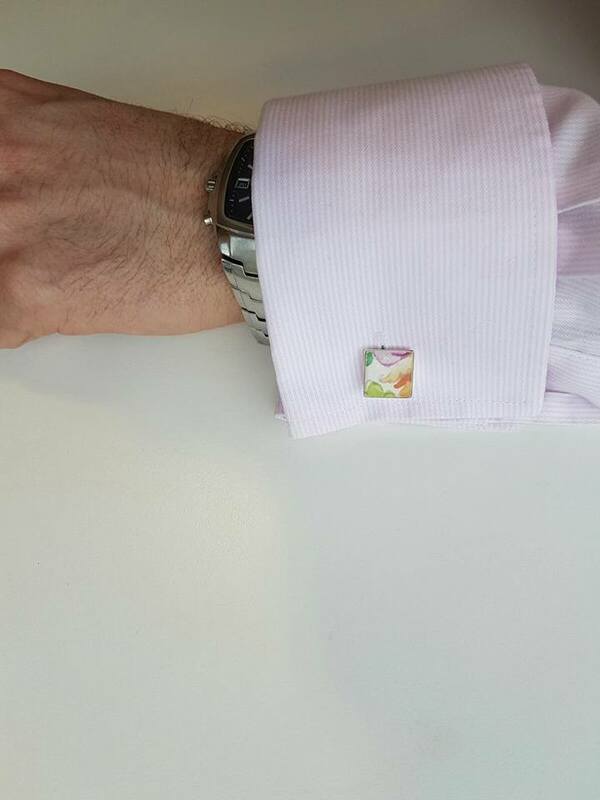 Delighted with how they worked out and love seeing the cufflinks "in action"! A recent commission that I worked on was a pretty special request from a lady for a vintage china pendant. She wanted it to be created from a china teacup which had belonged to her mother (who had passed away) in order to gift it to her niece. She had a specific part of the teacup that she was looking to be made into the pendant which is shown in the pictures along with the finished piece.